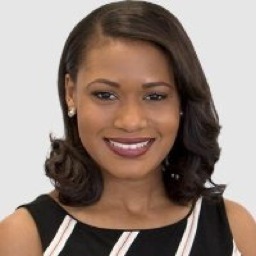 Reporter Samantha Chatman, who’s been with Louisville, KY’s WDRB-TV since June 2015, is leaving after just over a year to join NBC5. She arrives at the Fort Worth-based station on Monday, and will make her on-air debut soon after, NBC5 vice president of programming Brian Hocker confirms. “Samantha will be our consumer reporter focusing on NBC5 Responds,” he said. She fills the vacancy left by Deanna Dewberry, who resigned from NBC5 in mid-June of this year. Chatman previously worked at WEEK-TV in Peoria, Illinois and also has interned at WCIA-TV (Champaign, Illiinois), WLS-TV (Chicago) and WFLD-TV (also Chicago). NBC5 will be her sixth television station since January, 2012. WDRB notes that Chatman also was an American Idol contestant in the summer of 2008, when Simon Cowell, Paula Abdul and Randy Jackson were still the judges. But she didn’t make it to the Hollywood round. Chatman has been a weekend weather anchor, too, with WEEK-TV. The industry website tvspy.com reported Tuesday on its “On the Move/Revolving Door” page that Chatman would be coming to NBC5 at some point.